I guess you pass most of your time searching through FCC listings, right? It looks like a black version of the PowerWave 7.5 Pad same vents on the underside. From the name, though, we can infer that it's an evolution of the 7.5, but how could they make it better? Do these pads actually get hot enough to require a fan? It's more of a safety feature as it helps keep your phone cool so it doesn't overheat while fast charging. Maybe, my issue is I want the pad next to me when I sleep. I don't a small fan buzzing in my ear. There must be some difference between the PowerPad 7. 5 and this PowerPad or they wouldn't have changed the model name and waited to pass fcc. 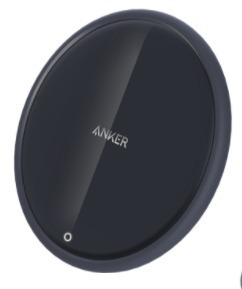 It's nice to see that Anker has not begun to rest on their laurels. I think the PowerPad 7.5 was near perfect but it never hurts to improve on your previous designs. The only difference I can see is that the new pad is 16grams lighter. I have the white version and agree. The fan is quiet, yet keeps the phone cool. I'd like this in Black though, as white doesn't stay 'white'. No actually you can subscribe to FCC. I got the email. A new FCC ID application has been submitted by Anker Innovations Limited for New Equipment. No actually you can subscribe to FCC. Ah, that explains quite a lot! If it's anything like the PowerWave 7.5 Pad, and we have every reason to believe it is, you most likely won't hear anything. I have to get real close - like, almost touching my ear to it - to hear a low buzz. My pad is in my nightstand, never bothered me. I don't a small fan buzzing in my ear. Me neither, I want a big fan! My initial reaction is far too many variations of virtually the same thing. Very confusing for consumers. 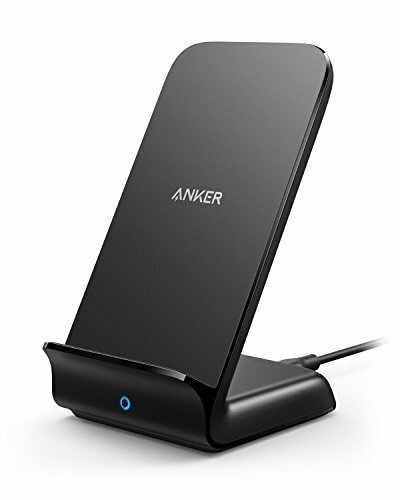 Pick one and stick with it for awhile, Anker! The PowerWave 7.5 is one of the better Fast Wireless chargers out there. They should have released the white and black versions together. Personally, I prefer the 7.5 Stand (Black) while on my desk. But what is the difference between Evo and 7.5? Is Evo regular charging speed? For those wondering, the Evo series seems to be yet another Walmart exclusive.... This explains why there don't seem to be many differences between other PowerWaves.